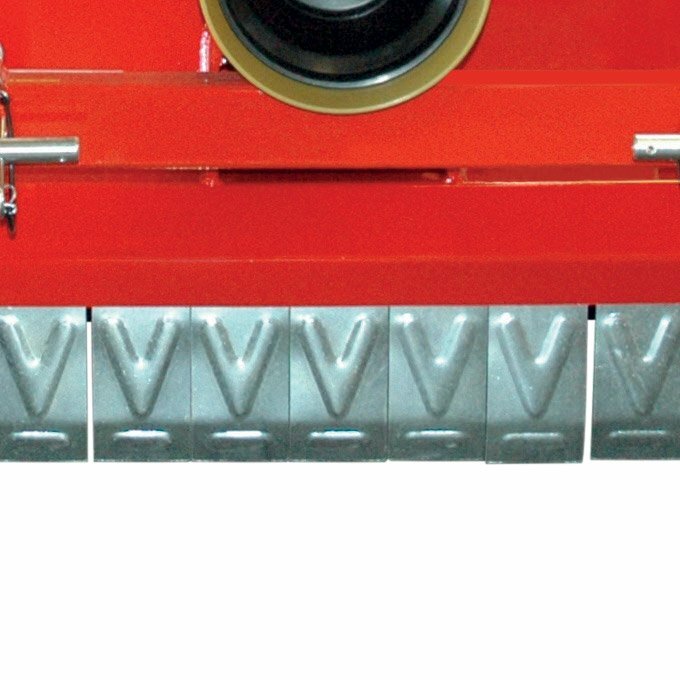 Solidity of the structure, high technique and attention to the details are the main features of the three point headstocks of Vigolo low body mulchers. 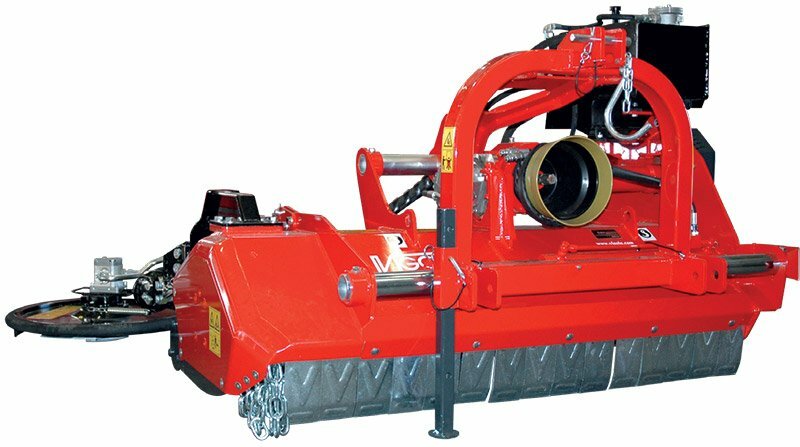 In order to better meet the several needs of the customers Vigolo models can be equipped with single or double headstock. 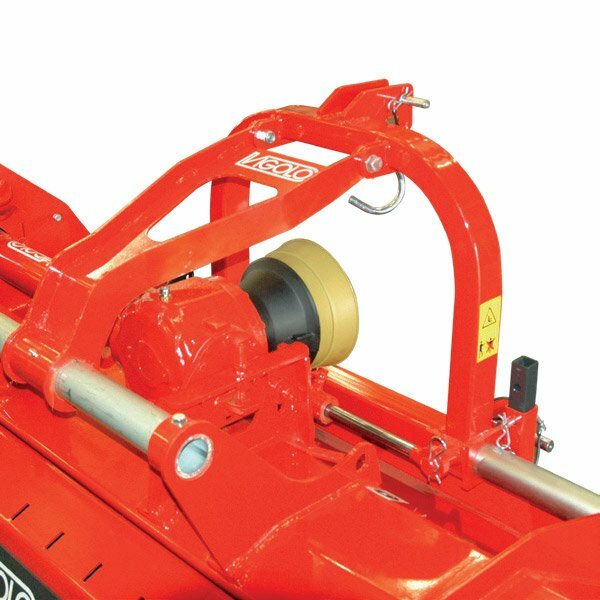 Vigolo low body mulchers are also prepared for frontal use, if needed, whereas the reversible version allows works both front and rear of tractor. 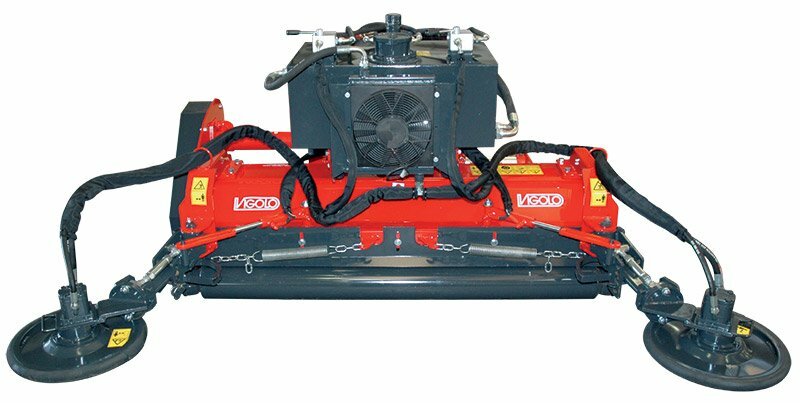 The optional version with hydraulic side shift is available for all models of the portfolio. 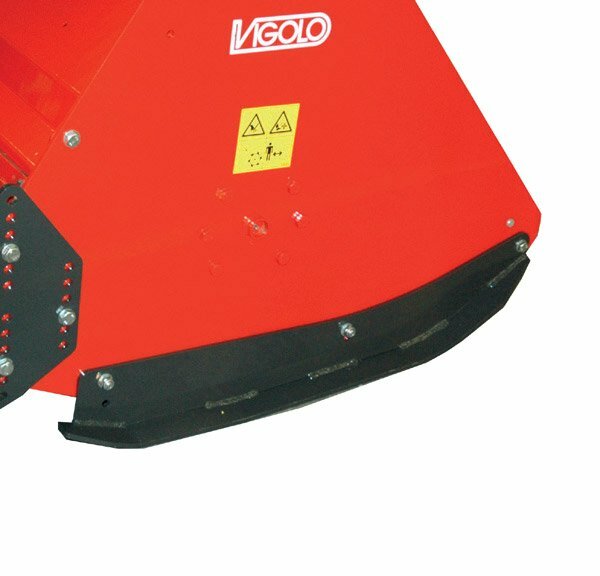 Vigolo headstocks are ment to last in every work condition, even under strong continuous strains. 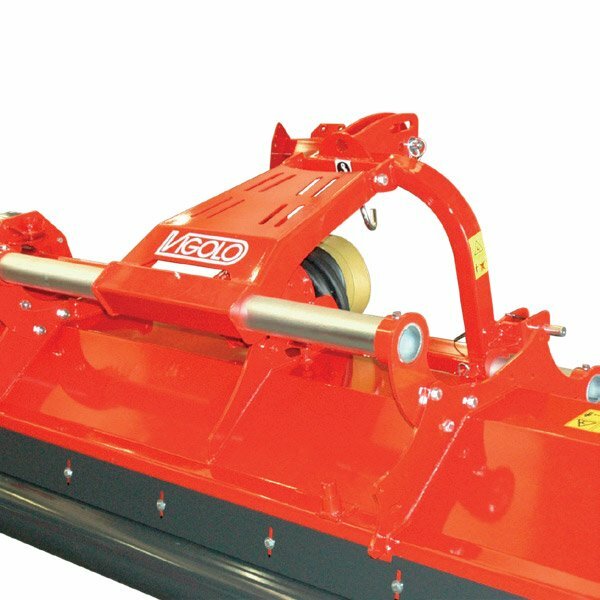 All Vigolo low body mulchers are standard equipped with gearbox with internal free wheel. 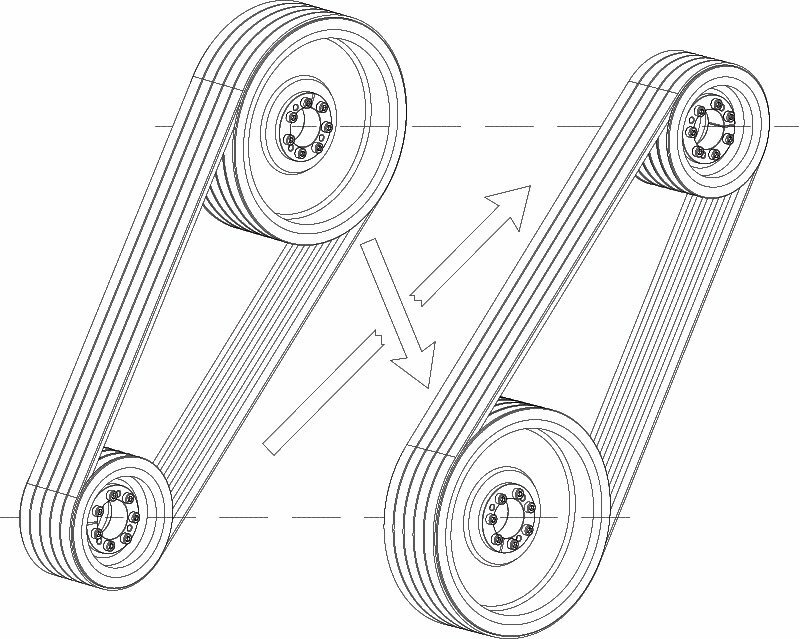 Thanks a correct combination of mechanics, power, torque and speed high performances are ensured nevertheless with lower power absorbtion. 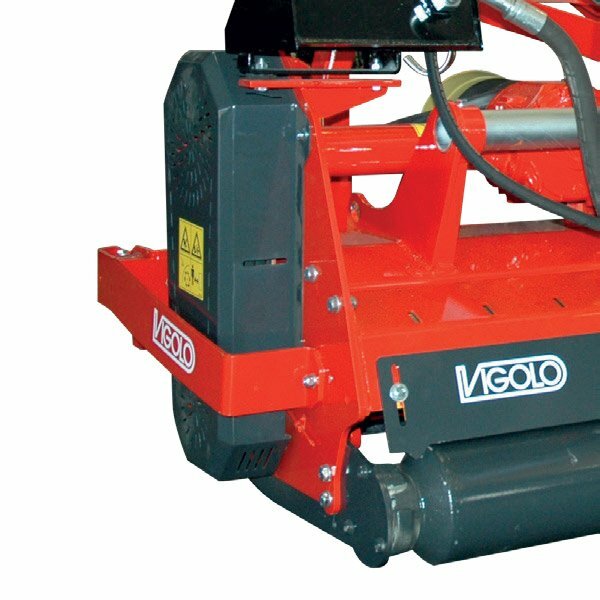 All Vigolo low body mulchers can be equipped with optional skids with lower plate. 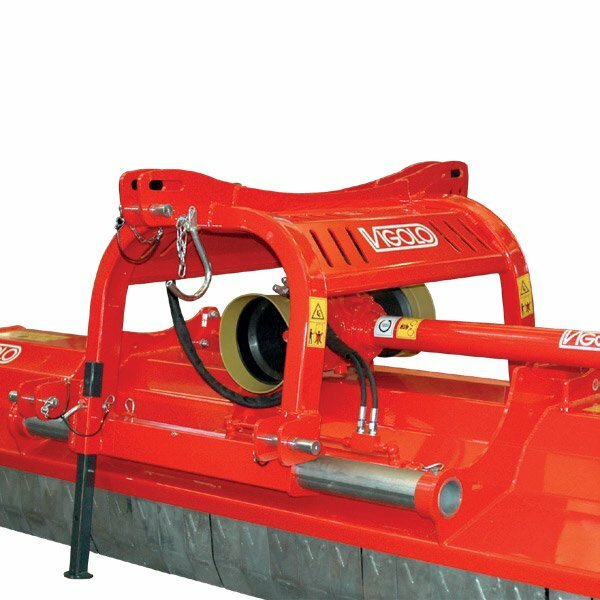 The option of skids with lower plate, together with the rear roller, grants extra support to low body mulchers, eases a regular work and makes the the machine more stable. 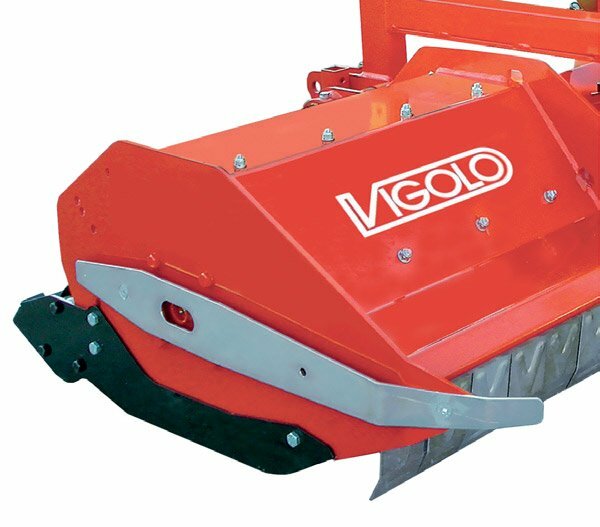 The standard equipment of Vigolo low body mulchers includes front protection through flaps made of galvanized iron; this creates a safe barrier which helps to avoid the coming out of the material cut. 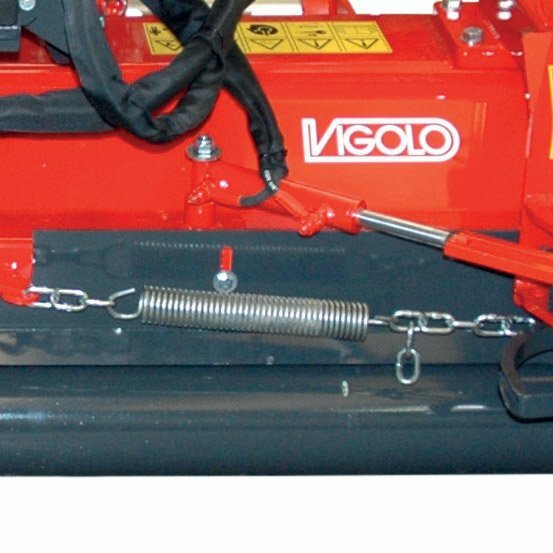 As an option is available the protection Vigolo offers a front protection with chains. 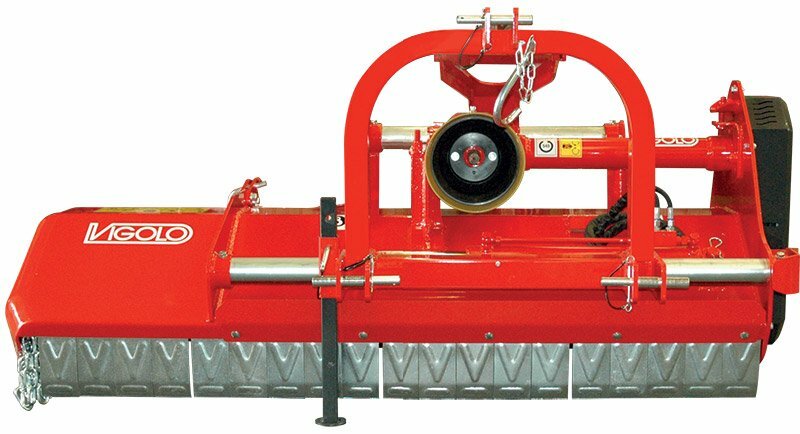 Thanks to the high experise gained over the years, different solutions for garden mainteinance in orchards and vineyards were designed. 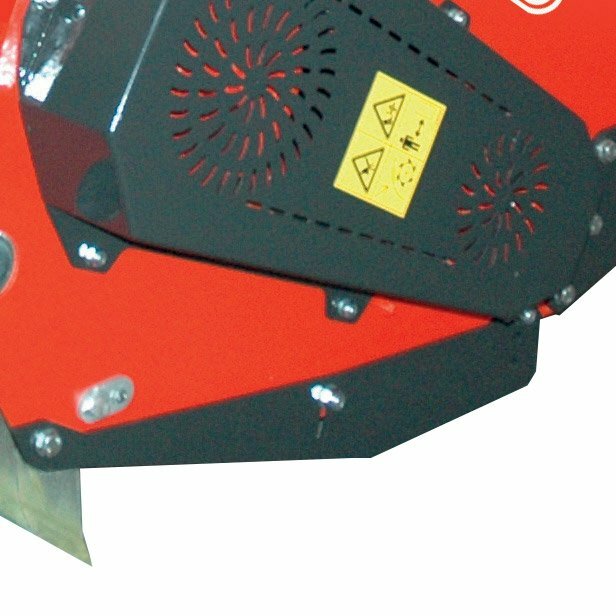 The rounded case of the models RSA PLUS and RSA MAX allows an optimal work even very close to the trunks without ruining them; TSA/L ist available also in the lower version for a perfect mainteinance of the green under the foliage. 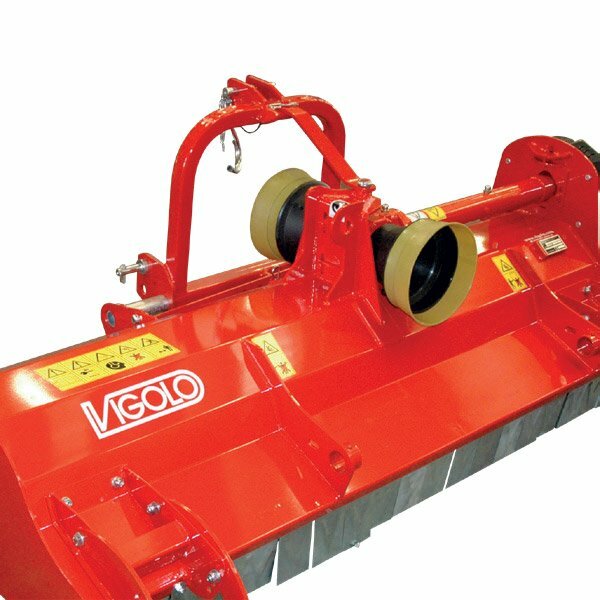 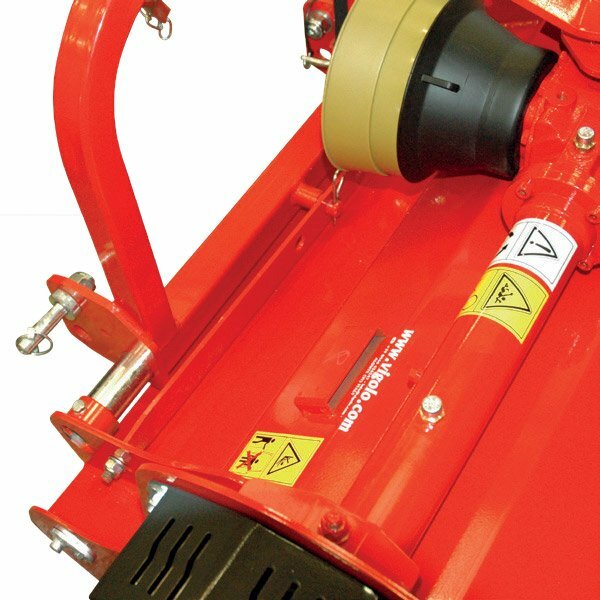 As an option Vigolo offers the plants guard and the branch pick-up spikes on both sides of the machine for the models which though a special case are standard prepared for this kit (TSA/L, TSA/P, MX, RSA PLUS e RSA MAX). 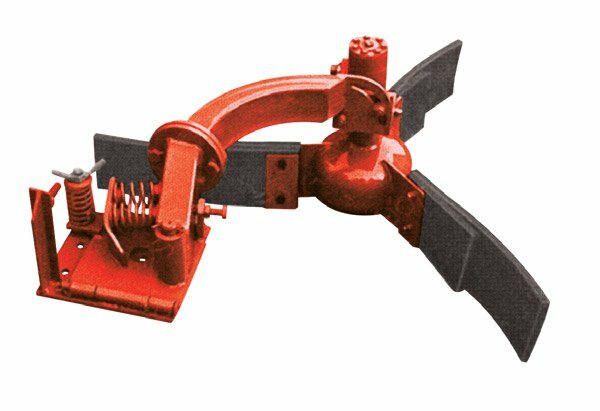 • double hydraulic disc cutter, tank, radiator and hydraulic closing system included Suitable for models TSA/L, TSA/P, MX, RSA PLUS e RSA MAX. 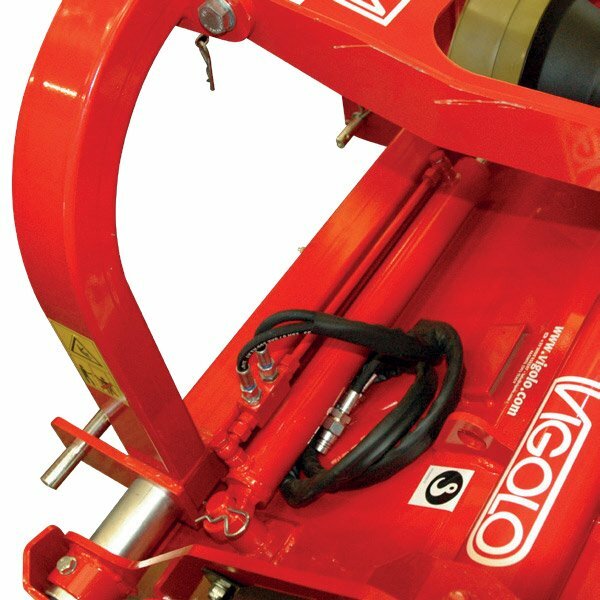 With a strong engineering and design experise, Vigolo technical department developed solid and reliable lateral transmissions. 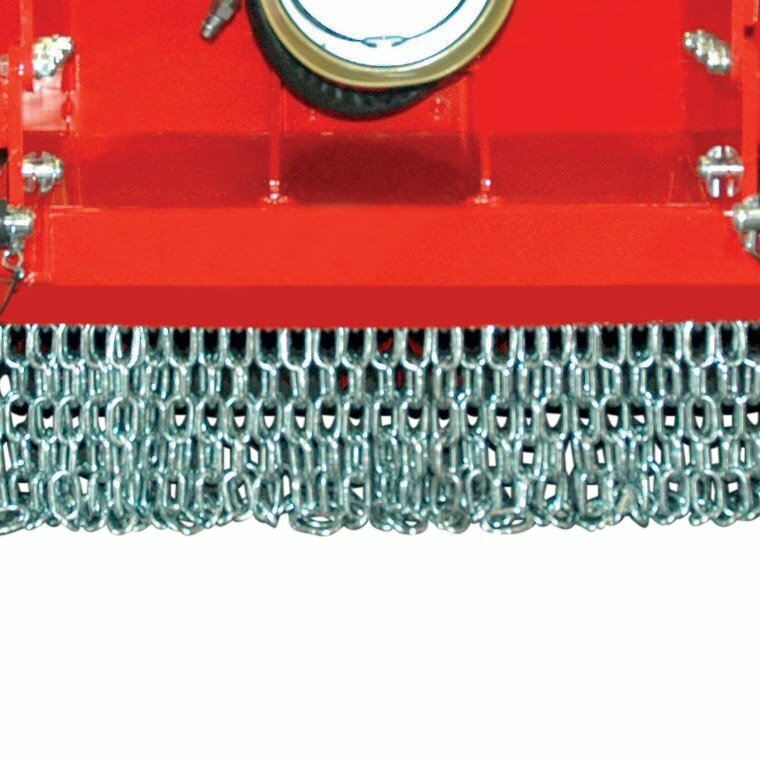 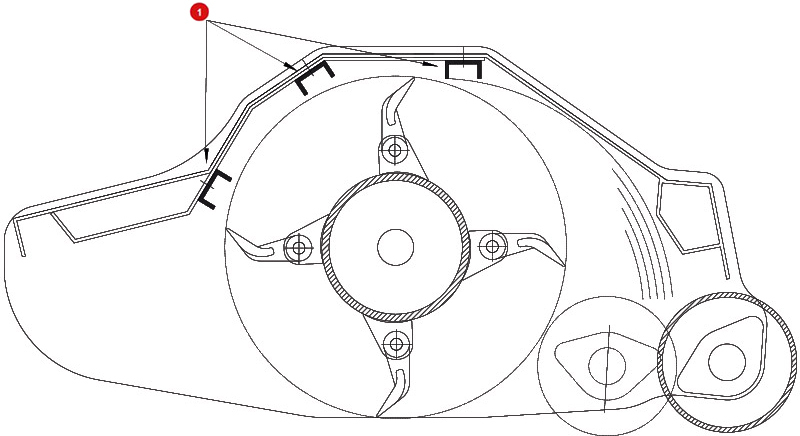 The correct regulation of the tensions is carried out through screws outside the crankcase; this allows high efficency of the trasmission and low wearing of the belts. 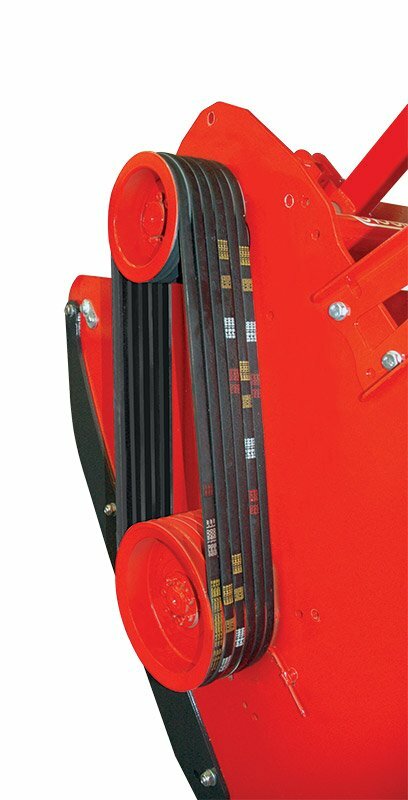 Vigolo low body mulchers give also the chance to change from 540 to 1000 rpm just inverting the pulleys. 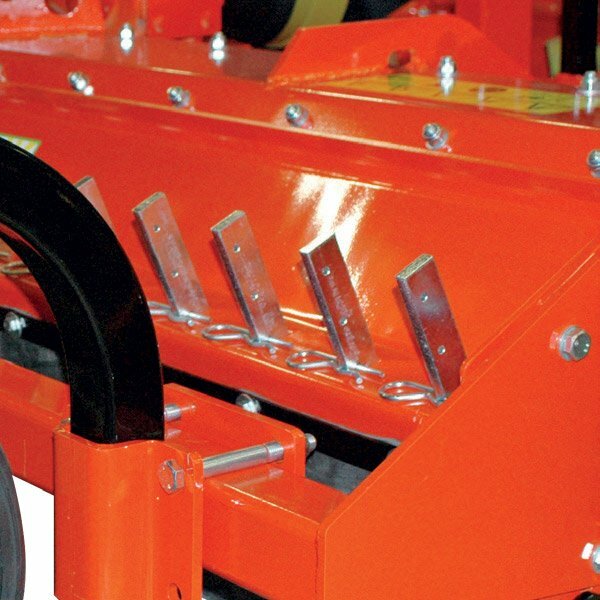 The frame of Vigolo low body mulchers was designed to allow optimal mulching of the field residuals, also the woody ones. 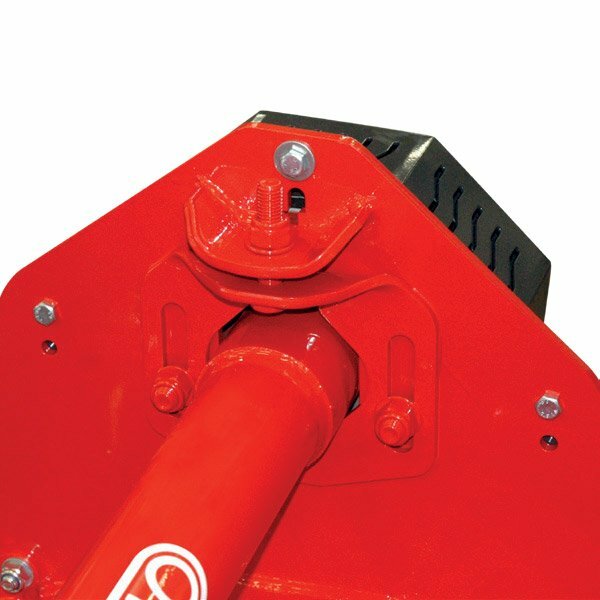 Thanks to the structure with high case, proportioned to the wide diameter of the rotor, Vigolo low body mulchers consent optimal works also on demanding conditions.